Terrese is using Smore newsletters to spread the word online. Step one : Hire a lawyer who will file a complaint with the proper court. A complaint is a formal statement naming the plaintiff , defendant and describes the lawsuit. The court then sends a summons. A summons is a document telling the defendant about the suit against them and orders them to appear in court on a certain day and time. 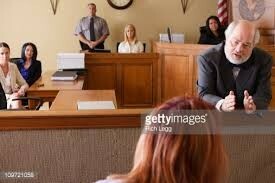 Step two: The defendant may respond by having their attorney answer the complaint. A pleading is the act of preparing and presenting legal documents and arguments.The lawyers on both sides gather evidence to help their case. Step three: Pretrial conference. A pretrial conference is a meeting of the parties and their attorneys held before the court before they go to the actual courtroom. This is a mediation would be made. 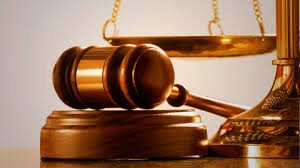 A mediation is a settlement of a dispute by setting up an independent person between two parties in order to help them in the settlement of their disagreement. Arbitration is the use of an arbitrator to settle an argument. An arbitrator is the person appointed to settle the dispute. Step four: Trial. A trial is an examination of evidence before a judge and most times a jury, in order to decide whether someone is innocent or guilty in criminal or civil cases. The trial can go before a jury of 6-12 or the judge may hear the case alone. The plaintiff presents first then the defendant. Both sides summarize their cases then the judge or jury decides the case. Preponderance of evidence is the greater weight of the evidence required in a civil lawsuit for the jury or judge to decide. This preponderance is based on the more convincing evidence and its probable truth or accuracy, and not on the amount of evidence. Step five: Verdict. The verdict is the decision. After the verdict either the defendant has to pay or the defendant wins and the plaintiff gets nothing and has to pay court cost. Step 6: Appeal. 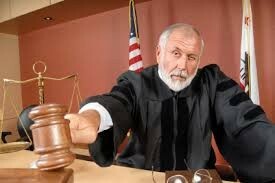 An appeal can be made if the plaintiff doesn't like the way the trial went or feels the wrong verdict was made. An appeal is applying to a higher court for a reversal of the decision of a lower court.